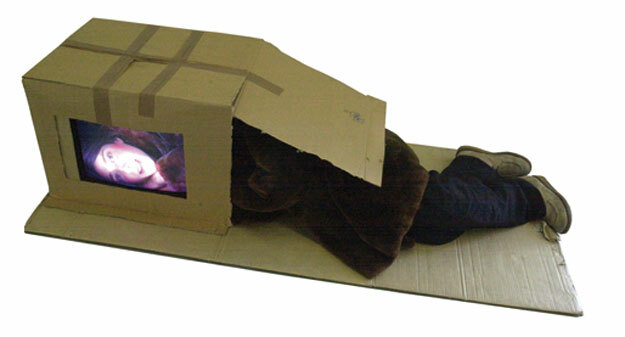 In an urban public space a passer-by is confronted with a video sculpture that looks like a woman creeping into a paper box. She reemerges, her body http://apothekebillig.com/levitra.html covered in brown fur while her face appears in a hole in the front of the box. Behind the screen she is looking peacefully into her inner self, singing and humming an old lovesong in Low-German.